PATNA: Alarmed by the heightened combing operations launched by the security forces, the Maoists abducted 10 children in Jharkhand’s Garhwa district late on Thursday night, and four CRPF personnel were injured in a landmine blast triggered by the rebels in neighbouring Latehar district on Friday. The blast occurred when the security forces were engaged in a search operation on foot to locate the Maoists and rescue the abducted children, said sources. 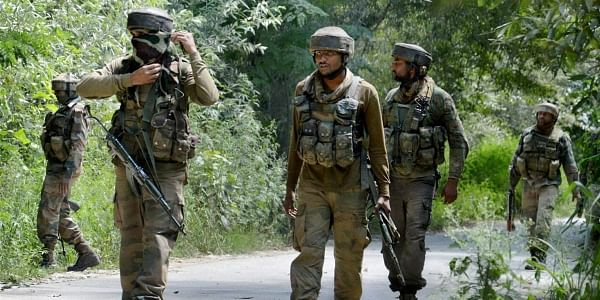 The four CRPF personnel – deputy commandant HL Gangte, constable Deepak Singh, radio operator Nilesh Pandey and head const Gopal Yadav – were airlifted to Ranchi and admitted to Medica Hospital. The abduction of ten adolescent children took place hours after a daylong visit to the Maoist-infested Latehar district by the home ministry’s senior security advisor, K Vijay Kumar. The act is believed to be a tactic of the leftwing rebels to put pressure on the state government to withdraw the intensified combing operations around the Budha Pahar hills. A gang of armed Maoists descended on a village under Bhandaria police station near the hills and forcibly took away the ten children. The shocked parents of the children, living in constant fear of the mindless violence perpetrated by the Maoists, have not lodged a formal complaint with police. ADG (Operations) RK Mallick, however, denied reports of the abduction. Sources said one of the reasons the villagers did not complain to police about the abductions is that they believe the Maoists took them away to induct them as their cadres. The Maoists are known to frequently force adolescent boys and teenagers in Jharkhand to join their outfits. Budha Pahar, situated along the Jharkhand-Chhatisgarh border and spanning Latehar and Garhwa districts of Jharkhand, has long been the safest hiding place for the leftwing guerillas. Over 2,000 security personnel from the state police and CRPF are currently engaged in combing operations in the area to flush out the Maoists.